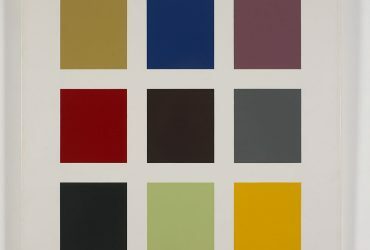 Jack Pierson, Nothing (Yellow, Blue, Red) (detail), 1992. 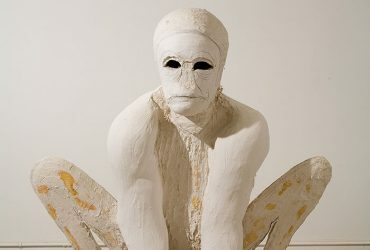 Mixed media, 54 x 112 x 1 inches (137.2 x 284.5 x 2.5 cm). Collection of Blake Byrne. © Jack Pierson; courtesy Regen Projects, Los Angeles, and Cheim & Read, New York; photo by Alan Shaffer. Andy Warhol, Open This End (detail), 1962. Acrylic on canvas, 8 x 11 inches (20.32 x 27.94 cm). Collection of Blake Byrne, T’57, partial and promised gift to The Museum of Contemporary Art Los Angeles. 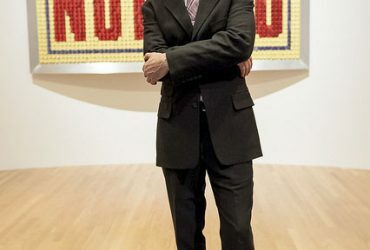 Image courtesy of The Museum of Contemporary Art, Los Angeles. © 2014 The Andy Warhol Foundation for the Visual Arts, Inc. / Artists Rights Society (ARS), New York, New York. Photo by Brian Forrest. 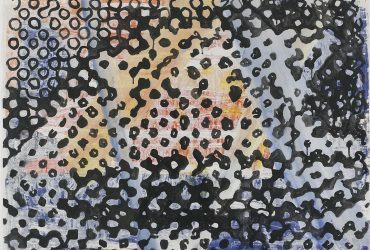 An exhibition of both iconic and lesser-known works from some of the most significant and compelling artists of the last 50 years, Open This End: Contemporary Art from the Collection of Blake Byrne traced a number of intertwined narratives in the history of recent art. 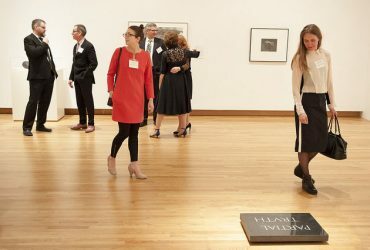 These narratives included Pop and Conceptual Art, Minimalism, body-oriented performance art, the Pictures Generation, identity politics and psychologically-inflected figurative works. 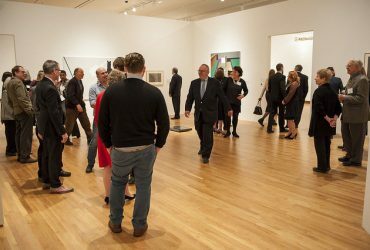 The exhibition’s title came from a 1962 painting by Andy Warhol, a gift from Blake Byrne to The Museum of Contemporary Art, Los Angeles, and the earliest work in the show. 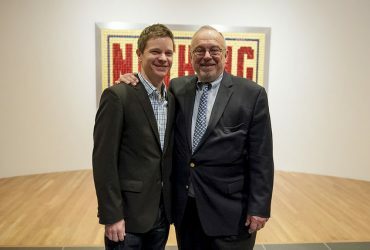 Guest curator Joseph R. Wolin utilized the strengths of Byrne’s collection to chart a broad but personal overview of contemporary art, while also providing a window into the collector’s personal vision. 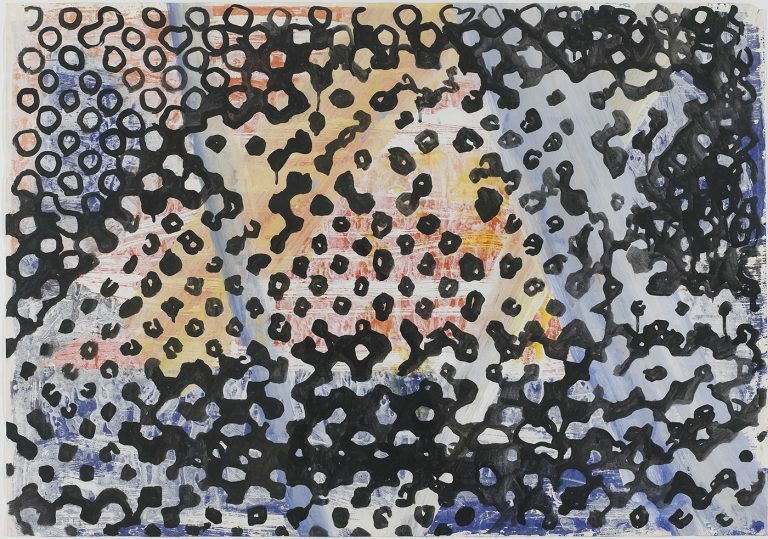 Sigmar Polke, Untitled, 1982. Watercolor on paper, 27 ½ x 39 inches (69.9 x 99.1 cm). Collection of Blake Byrne, T’57, partial and promised gift to The Museum of Contemporary Art Los Angeles. 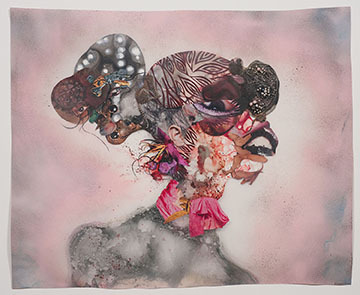 Image courtesy of The Museum of Contemporary Art, Los Angeles. 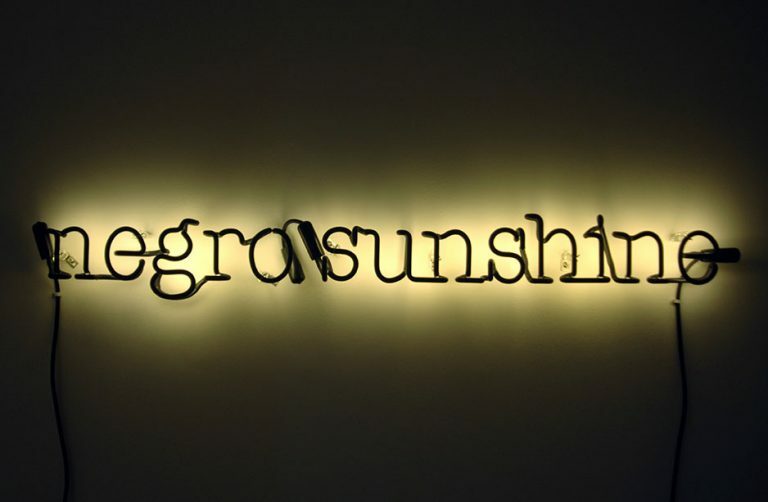 Glenn Ligon, Warm Broad Glow, 2005. 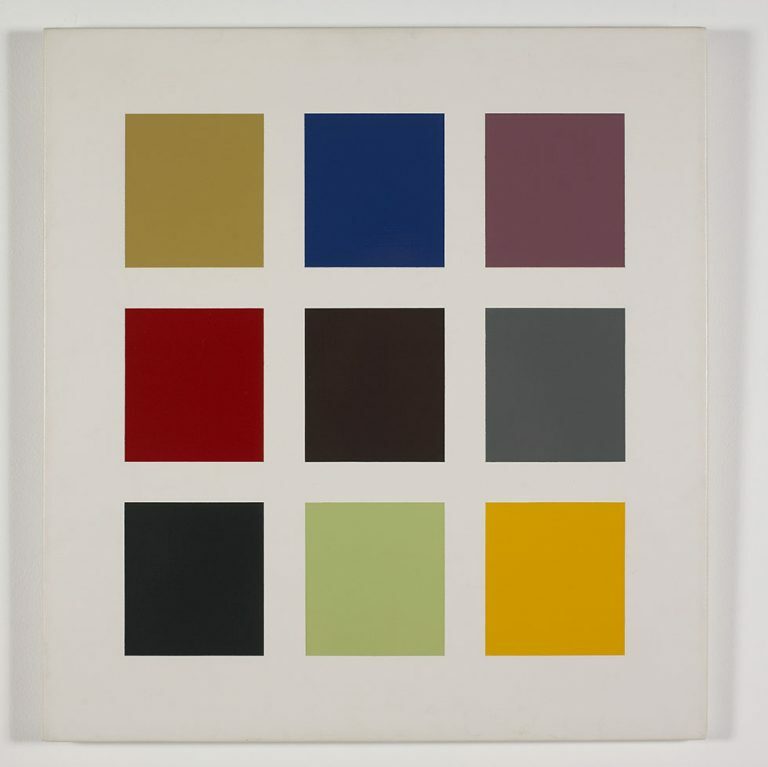 Neon and paint, edition 1/7, 4 x 48 inches (10.2 x 121.9 cm). Collection of Blake Byrne, T’57, promised gift to the Nasher Museum of Art at Duke University. 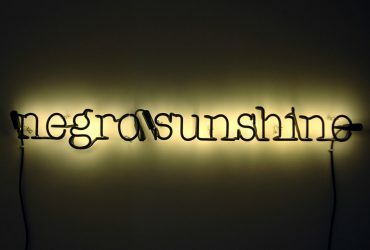 © Glenn Ligon. 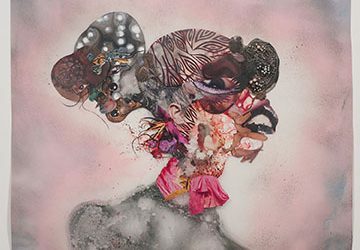 Courtesy of the artist, Luhring Augustine, New York, New York, and Regen Projects, Los Angeles, California. Photo by Peter Paul Geoffrion. 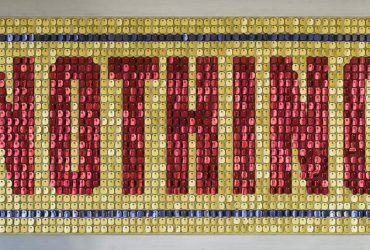 Jack Pierson, Nothing (Yellow, Blue, Red), 1992. Mixed media, 54 x 112 x 1 inches (137.2 x 284.5 x 2.5 cm). Collection of Blake Byrne. © Jack Pierson; courtesy Regen Projects, Los Angeles, and Cheim & Read, New York; photo by Alan Shaffer. Martin Kersels, Pink Constellation, 2001. Video (color, sound), 20 minutes. Edition 8/10. Collection of Blake Byrne, T’57, partial and promised gift to The Museum of Contemporary Art Los Angeles. 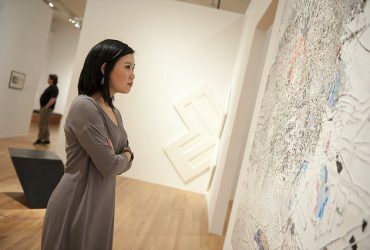 Image courtesy of The Museum of Contemporary Art, Los Angeles. Mike Kelley, Four Wire Sculptures, 1990. 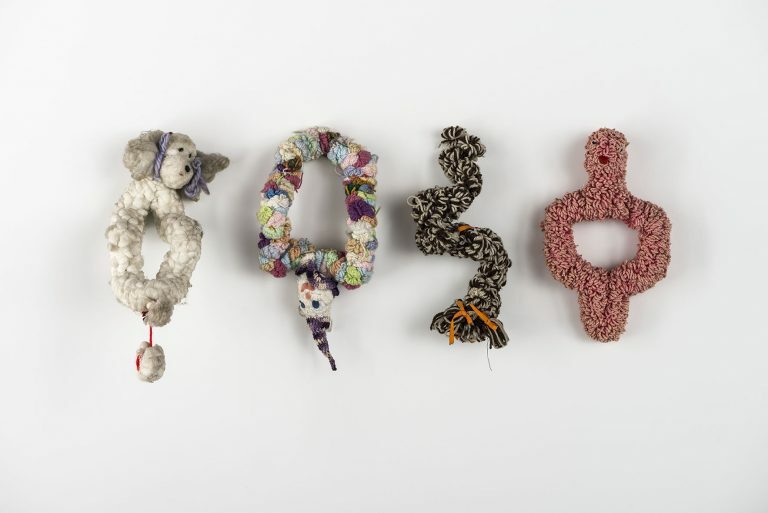 Four parts: mixed media with yarn and wire, dimensions variable. Collection of Blake Byrne, T’57. 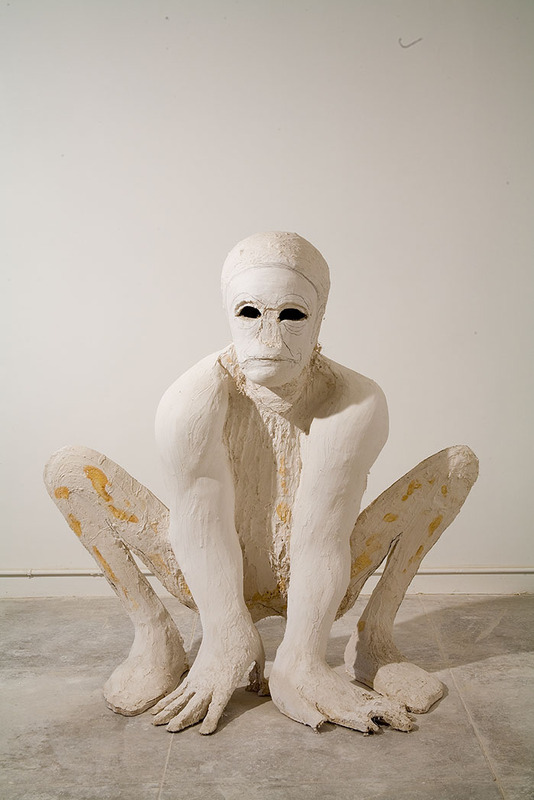 Thomas Houseago, Squatting Man, 2005. Plaster, hemp, iron rebar, wood, graphite, 60 x 56 x 30 inches (152.4 x 142.2 x 76.2 cm). Collection of Blake Byrne, T’57. 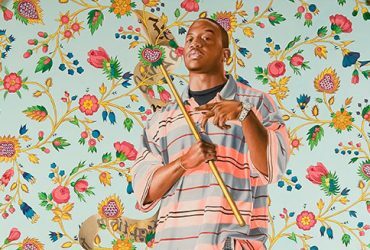 Kehinde Wiley, St. John the Baptist II, 2006. Oil on canvas, 96 x 72 inches (243.8 x 182.9 cm). 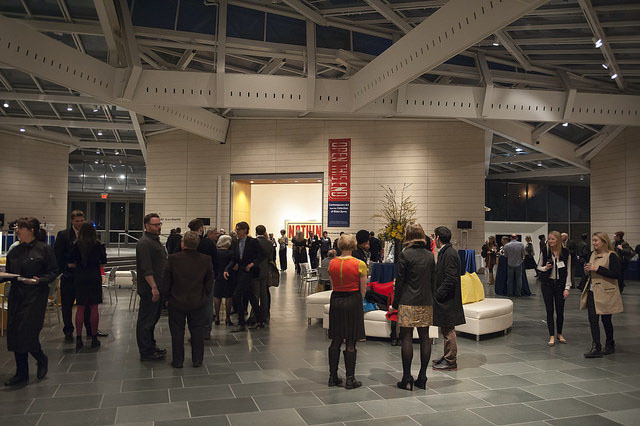 Collection of Blake Byrne, T’57, promised gift to the Nasher Museum of Art at Duke University. 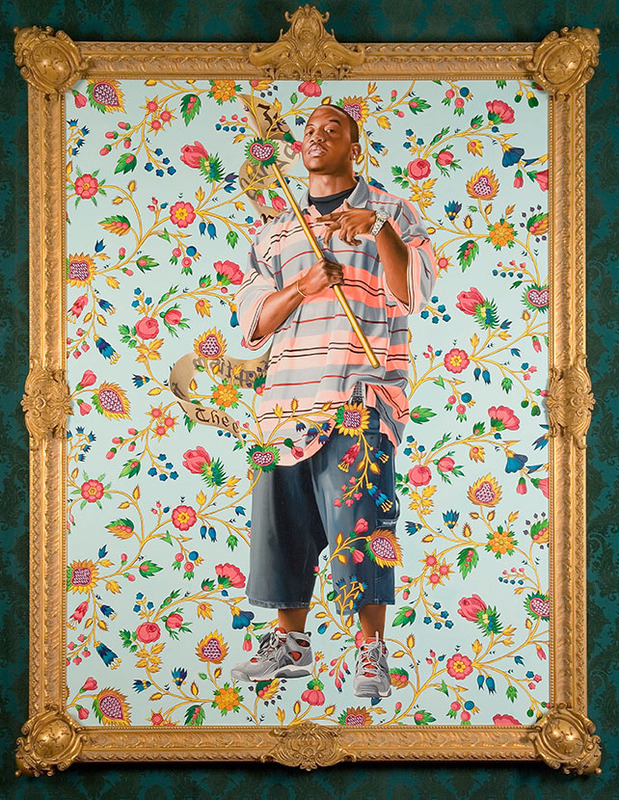 © Kehinde Wiley Studio. 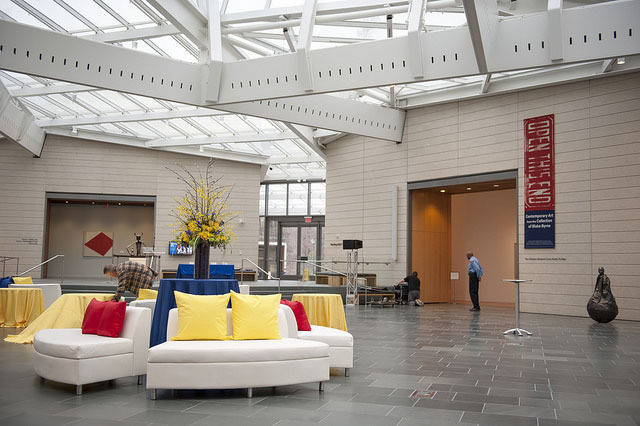 Photo by Peter Paul Geoffrion. 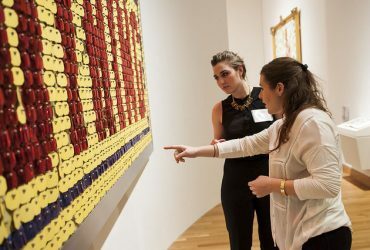 A visitor takes a look at a work by Mark Bradford in the exhibition Open This End. Photo by J Caldwell. Visitors enjoy Open This End. Photo by J Caldwell. 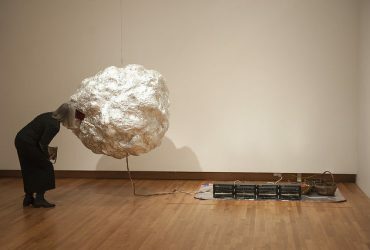 A visitor peers inside Silver Ball, a sculpture made in 1994 by Mike Kelley of aluminum foil, polyurethane foam, wood, chicken wire, speakers, boomboxes, three baskets and artificial fruit. Photo by J Caldwell. Collector Blake Byrne (center) enjoys visitors' reactions to the opening of the exhibition from his collection, Open This End. Photo by J Caldwell. 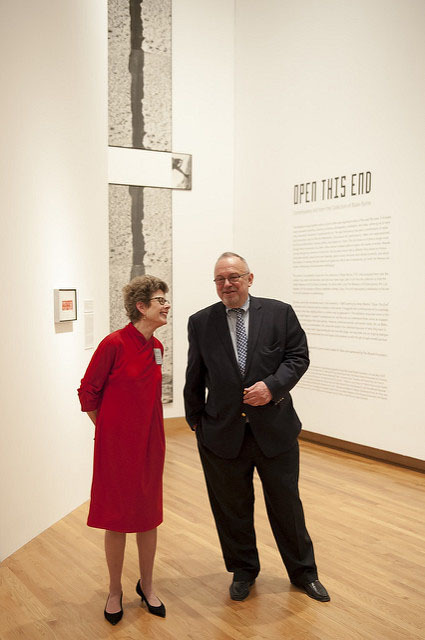 Nasher Museum Director Sarah Schroth chats with collector Blake Byrne during the opening event for Open This End. Photo by J Caldwell. 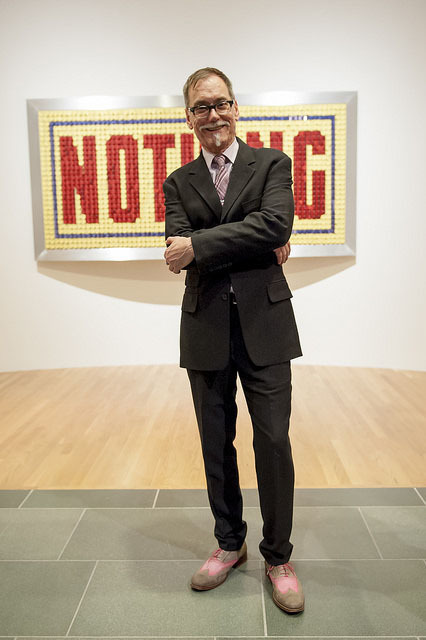 Guest Curator Joseph R. Wolin poses at the entrance to Open This End. Photo by J Caldwell. 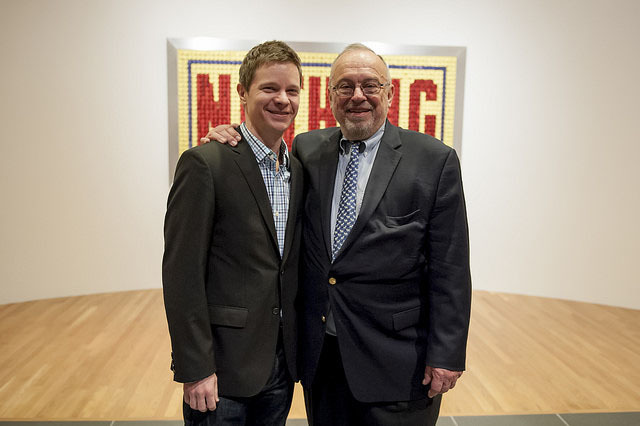 Chief Curator Trevor Schoonmaker poses with Blake Byrne (right) during the opening of the exhibition Open This End. Photo by J Caldwell. 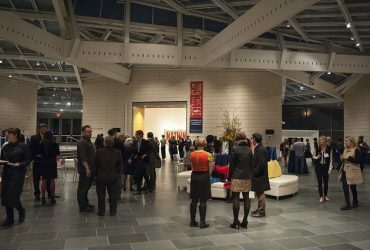 The Nasher Museum Great Hall is set up for the opening of Open This End. Photo by J Caldwell. Visitors in the Great Hall enjoy the opening event for Open This End. Photo by J Caldwell. 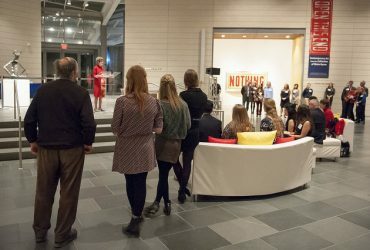 Visitors in the Great Hall enjoy the opening event for Open This End, as Nasher Museum Director Sarah Schroth makes remarks. Photo by J Caldwell. Duke students take a closer look at the work by Jack Pierson, Nothing (Yellow, Blue, Red). Photo by J Caldwell. 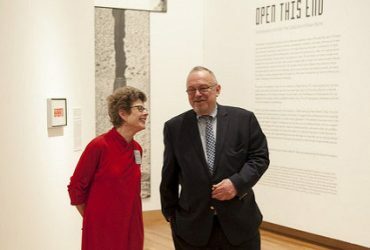 Open This End was organized by guest curator Joseph R. Wolin and sponsored by The Skylark Foundation, Los Angeles, California.The exhibition was on view through July 12 at Duke before traveling to three other university art museums with connections to Byrne’s family: Ohio State University Urban Arts Space in Columbus, Ohio (August 25 – November 7, 2015), The Miriam and Ira D. Wallach Art Gallery at Columbia University in New York (January 20 – March 12, 2016), The Ronna and Eric Hoffman Gallery of Contemporary Art at Lewis & Clark College in Portland, Oregon (September 8 – December 11, 2016). Please visit The Skylark Foundation for more information.